Though it’s a bit odd I’m writing up a variant of a classic cocktail without having first discussed the original, this particular variant (and I’ve tried many) is so spectacular I really had no choice. A Negroni, one of the true classic cocktails, is equal parts gin, sweet vermouth and Campari. It’s a beautiful drink, and has earned the right not to be fussed with. Though I generally prefer the original to almost all pretenders I’ve sampled, The Wild Rose Negroni is the exception. 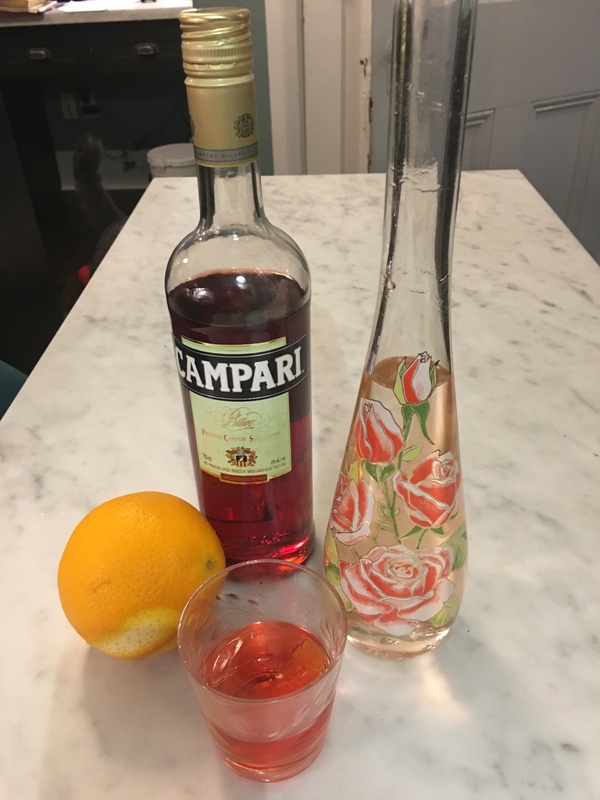 Though simple in composition, the end result is a complex floral masterpiece that makes the work of getting your hands on rose liqueur absolutely worth it (and it won’t be easy in Ontario). I own the veritable Miclo product but Briottet, Giffard and others make beautiful rose liqueurs. In a pinch, one could use rose syrup available at specialty stores like Pusateri’s and BYOB. Sadly, you will never ever find it at the LCBO or most run-of-the-mill liquor stores outside Ontario. I came across the recipe in A Field Guide to Canadian Cocktails. Its creator, John Pritchard, is the chef and proprietor of Terre Rouge in Charlottetown, PEI. Add ice to ingredients and stir. Strain into a smallish, chilled Old Fashioned with or without a large cube of ice (your choice).